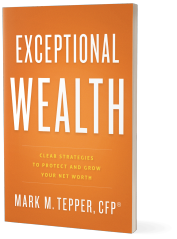 One Size Does Not Fit All: What Approach is Right for Your Wealth? Old habits are hard to break. It’s especially true in personal finance, when too many of us adopt the adage to “set it and forget it” when it comes to our strategies for building wealth. We overlearn the lesson to not actively tinker with our portfolios too often. We may maintain the same simple strategies for years on end – living below our means, setting our allocation mix based on our risk tolerance and timeline. We might keep depending on the same sources of financial information long after our situation has changed. If you’re brand new to investing or looking for a refresher, magazines like Kiplinger’s may give you exactly the high-level perspective you need. But – and this shouldn’t be read as a knock on a fine publication – as your situation changes in time, you may likely need to absorb new, more specialized perspectives. The fact is that all types of investors aren’t created equal and the same resources aren’t appropriate for everyone. Many of us resist being lumped into categories like “affluent” or “wealthy”, wearing our humbler roots as points of pride. 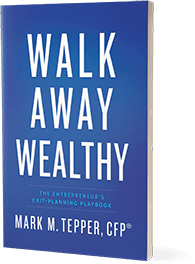 But keep in mind that the strategies that work well for lower-net worth investors are likely not appropriate for those with exceptional wealth – a recent college graduate and an investor with a $10 million net worth obviously shouldn’t be pulling from the same playbook. If you fall into the first bracket, you may or may not have a financial advisor working for you (though you should). Your focus is on retiring comfortably – and maximizing your returns. Once you hit the middle-class millionaire level, you likely live a prosperous, upper-middle-class lifestyle. You’re more likely to have an advisor – rate of return is still a key driver, along with managing your risk. 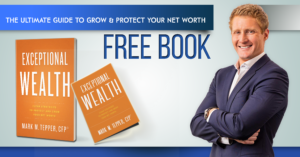 At this level – and especially if you climb into the higher echelons, you will need much more personalized financial guidance that takes into account the complexity of your portfolio. You will need to factor in the implications of tax planning, estate planning, charitable giving, and much more. This is especially true for business owners or those with illiquid assets. As your financial situation changes, you’ll be presented with different investment opportunities that pose their unique challenges. For instance, as an accredited investor, you can access investments that may be more speculative, have less liquidity or pose their own tax challenges. Your financial advisor’s job is to help you manage these investments, weigh the risk and reward while aligning them properly in your financial plan. If you maintain that you will manage every aspect of your portfolio as an Accredited Investor, odds are this will be your full time job. If it’s not, then it won’t be long before you fumble. When it comes to sizable investments, this sting can result in you avoiding more lucrative investments and enjoying the many benefits that come from this status.